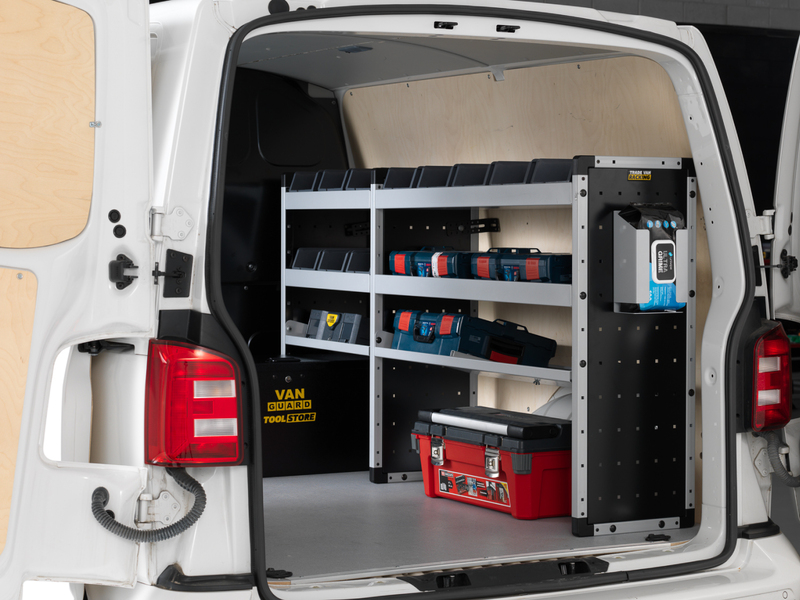 Designed with the everyday tradesperson in mind, Van Guard’s updated Trade Van Racking range is mainly constructed from aluminium, keeping the weight of the units as low as possible with load capacity and fuel consumption in mind. The units are completely flexible, allowing power tools and components to be stored effectively and efficiently. Shelves can be added in or taken out at any time and, with different height units and different length shelves available, racking can be tailored to meet exact needs. The system can also easily be transferred from one vehicle to another. Shelves have been designed to take the most common of tool boxes on the market and an innovative angled shelf has been designed to slope backwards so that tool cases can be simply slid in and out. 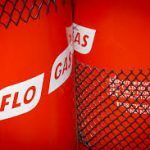 Additional accessories such as dividers, non-slip matting, plastic bins and unit height extensions can be purchased to fully utilise the shelving. Van Guard’s racking has passed the industry standard ECE Reg 17 crash test, which means the driver can be confident that the goods being carried are safely secured in the back of the van.